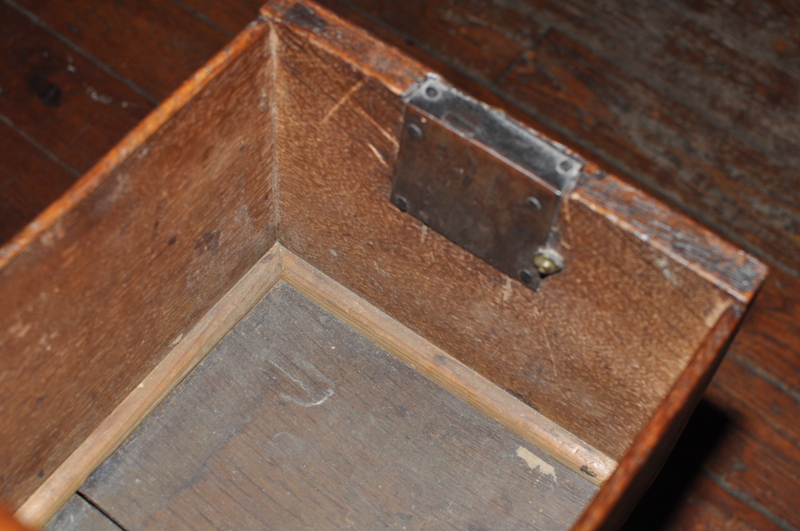 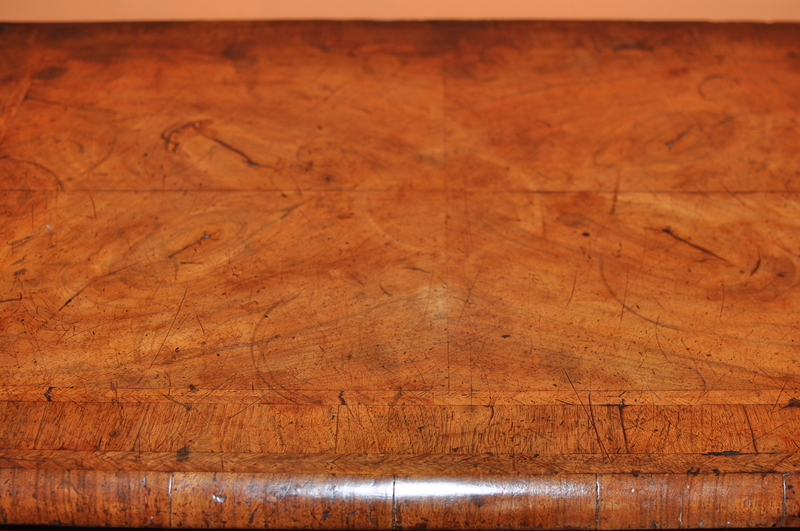 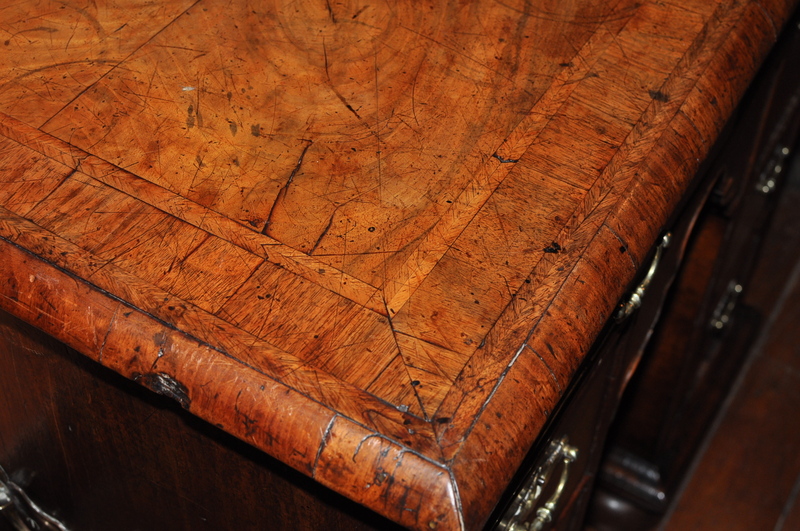 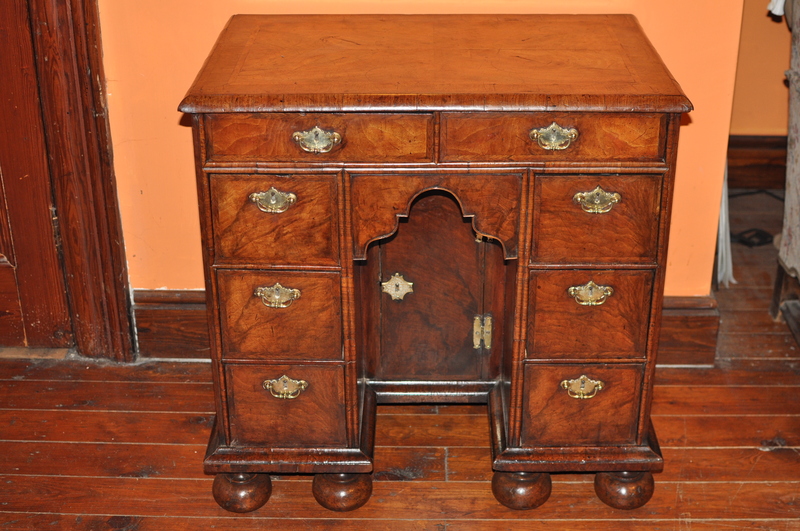 A superb small Queen Ann walnut kneehole desk in figured matched walnut veneers, feather banded throughout. 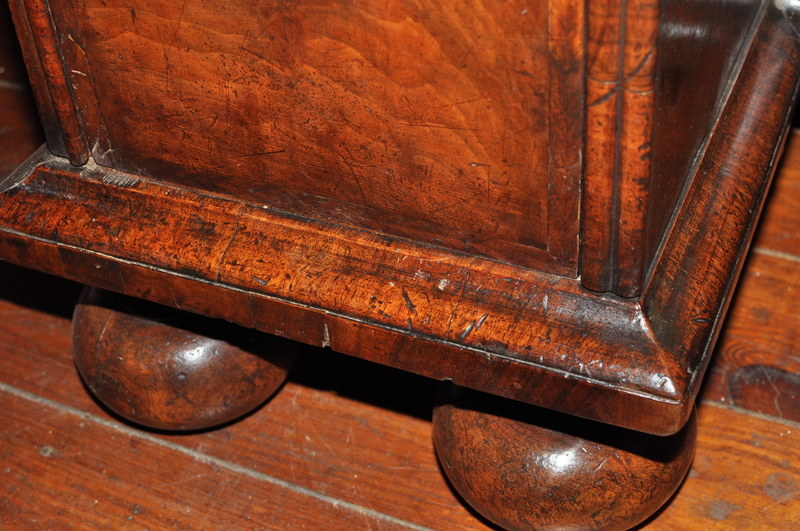 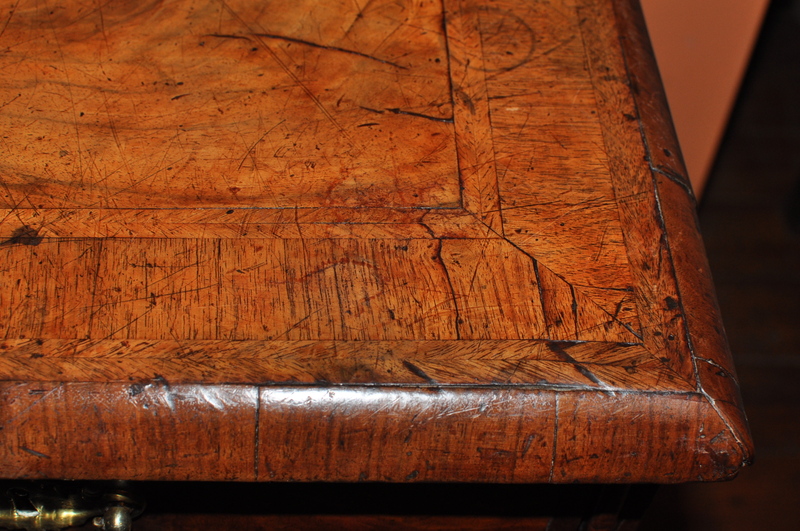 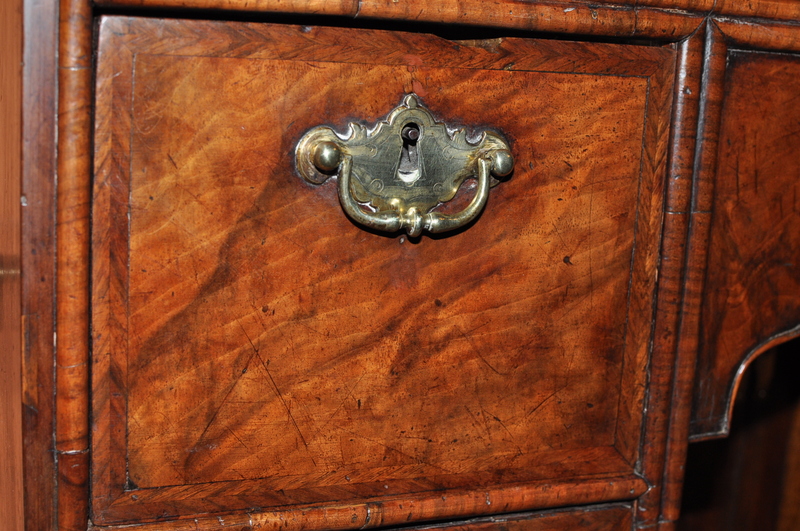 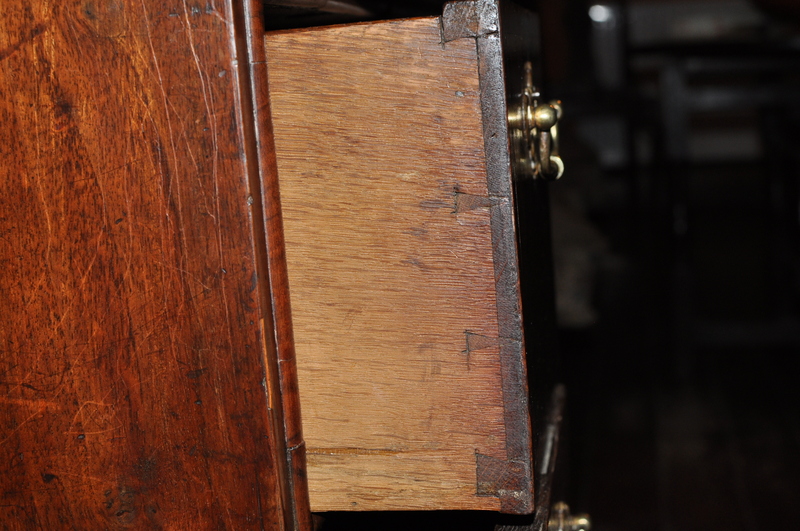 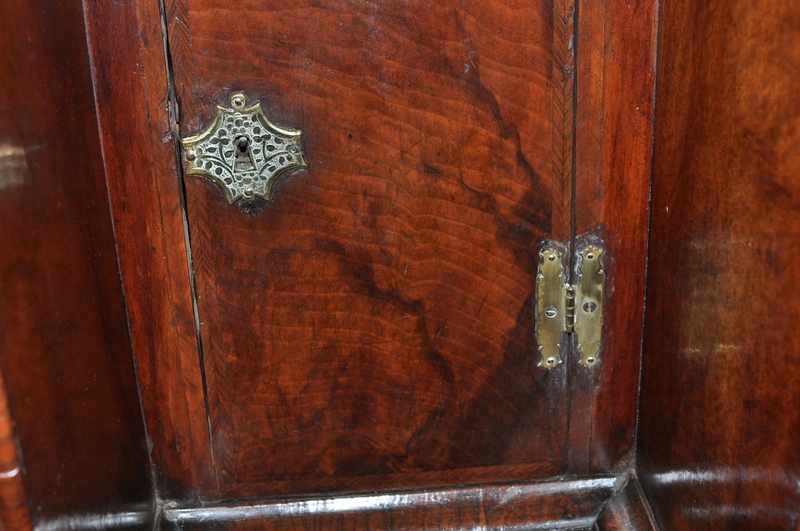 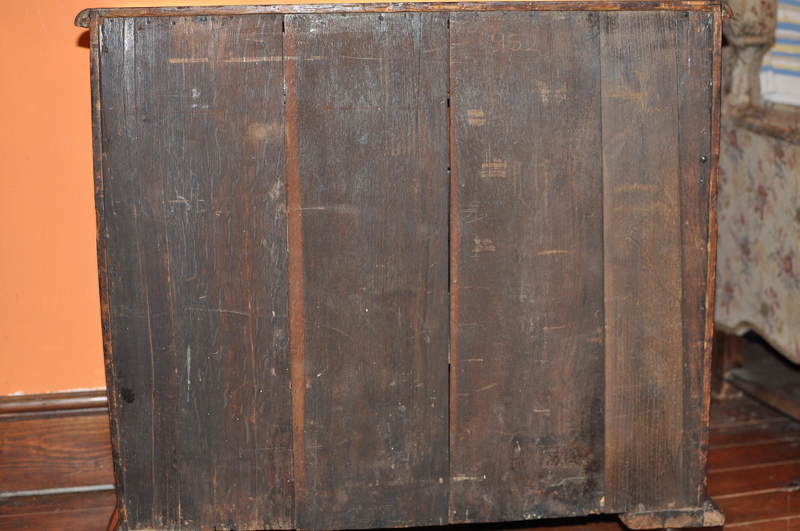 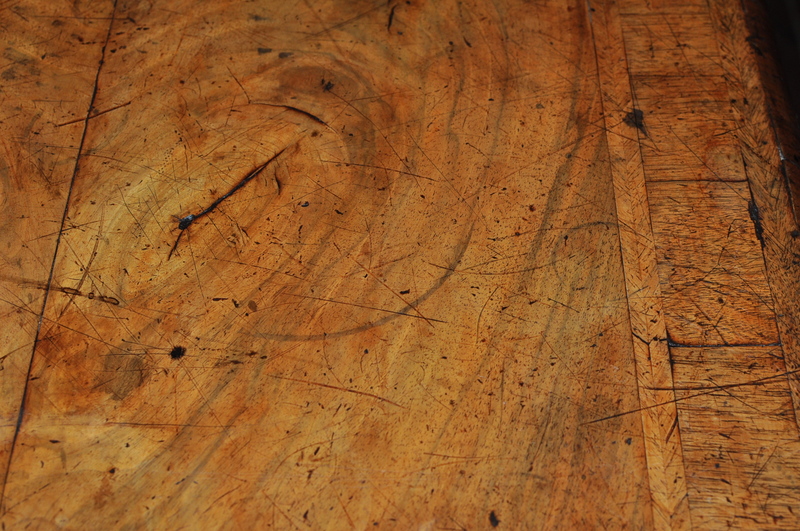 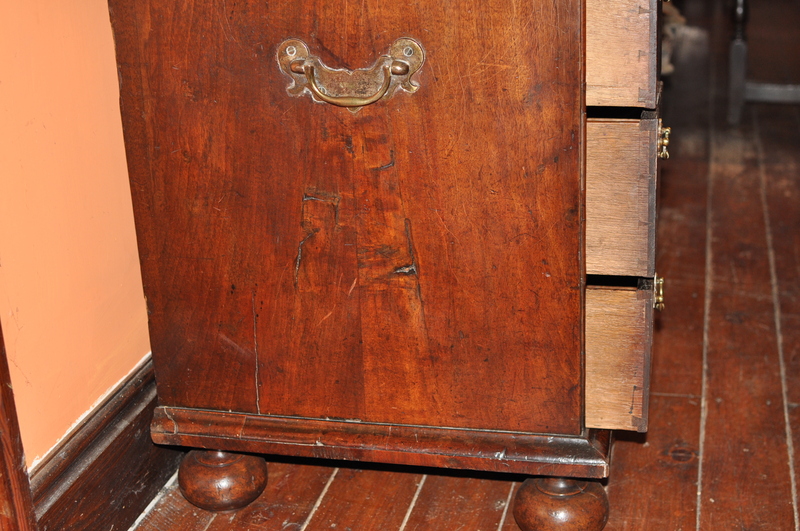 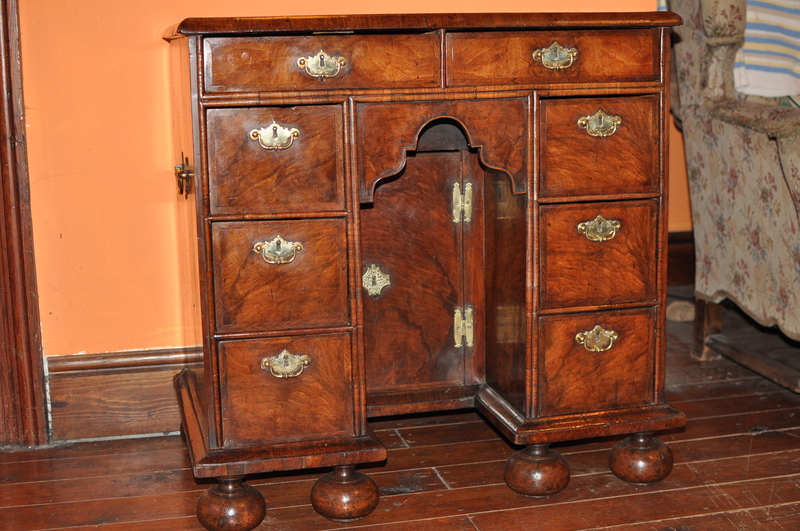 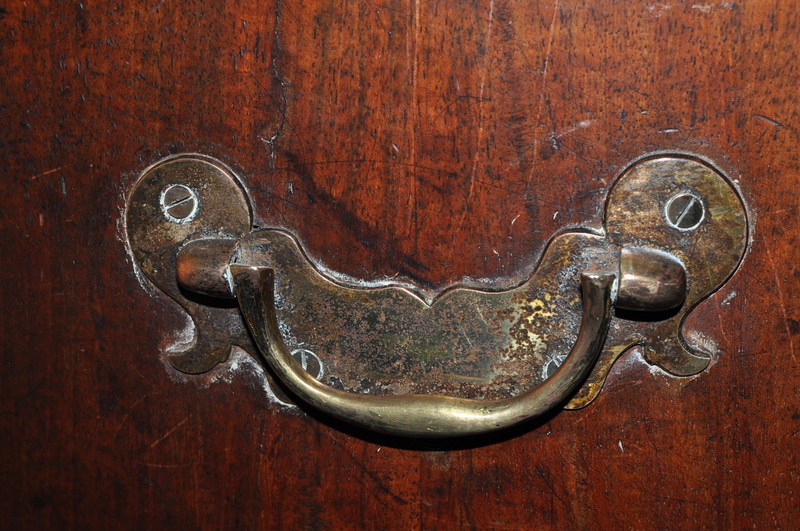 The desk has a fine colour and patina retaining lovely period handles with chased backplates. 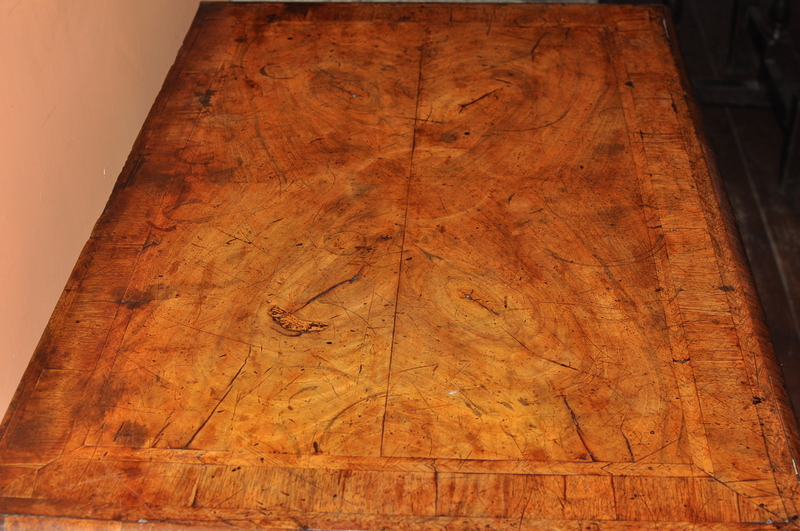 Circa 1705.